Design matters. Remember that saying? Apple captured me back in the 80’s with their declaration that design matters. It’s not just that they were beautiful products to see and touch, but their inner elegance of user-experience shown through agains the likes of the IBM PC. I was one of the first buyer of the IBM PC 8088. But I switched to Apple with the Macintosh and never looked back; it was a very compelling offering unique to Apple. Now I count myself as one of the loyal Apple followers with all that followed with countless Macs, iPods, iPhones and iPads. And I’m also a shareholder of Apple stock, so I definitely have some skin in the game to seeing Apple succeed. But from what’s been reported on the recent announcements at the developer conference in San Francisco, I couldn’t find anything to get excited about. It’s an incremental evolution, nothing revolutionary or compelling. There’s a saying: fail often, fail fast. 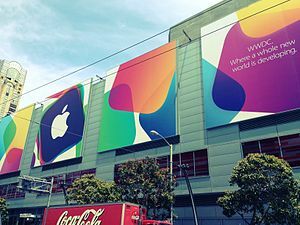 I don’t think that Apple, or any other tech company in the Valley for that matter, lacks talent or ability to innovate. This Valley is crawling with talent and innovation. What may be happening to Apple is the malaise of large corporate governance, the inherent lack of agility in decision-making process. Heck, I’ve known large tech companies that take nine months to develop a 12-month plan. Apple had been spared this affliction because of Jobs’ absolute authority. Now that he’s not at the helm, what’s a gigantic tech company to do? What’s needed? If I knew, I’d be making it, not blogging about it. But what would be a killer function for the iPhone/iPad is a new paradigm for data storage and retrieval. Forget the “Finder” type of system (although anything is better than nothing which is what we have on the iPhone/iPad at the moment). An intelligent multi-dimensional system for storage and retrieval based on context would be nice. Also a really useful Siri, one that truly is a personal assistant, not the brain-dead version that we have today that I never use any more. (Why does Siri always think I want to buy something whenever I ask for information?) And I think these two functions that we desperately need (context based information storage-retrieval and a personal assistant) are inextricably related. So we’ll have to wait and see. That’s what makes us “loyal followers”, but our patience is starting to run out.